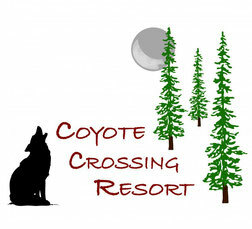 Ski Conditions & Weather are brought to you by Coyote Crossing Resort. Coyote Crossing offers top-notch dining, lodging, and recreation just five minutes from Caberfae Peaks. For Michigan Ski Conditions you can't beat OnTheSnow.com This is a comprehensive chart of Michigan resorts. If you want to check the snow depths around the state check WeatherStreet.com. This is not a trail report, but it does show where the snow is. Go Ski Michigan has a great interactive ski conditions map for all the Michigan downhill ski resorts. A cross country ski conditions map is also here. Plus, see all the webcams from resorts around Michigan. For the best all-in-one Weather Graphic, The National Weather Service in Gaylord has a wonderful visual presentation. The graphic is updated twice a day. One of the best online weather pages in all of Michigan is at Up North Live out of Traverse City. Its "Storm Team Weather" page has everything a skier needs: clickable radars, ski conditions, multiple maps, and links to all the National Weather Service offices around the state. Since many of you will be heading into northwest lower Michigan, here is the weather page of TV 9 & 10 out of Cadillac and Sault Ste. Marie. Covers everything from Midland north. It's specialty is Doppler Radar, some at street level. The site is updated every three hours. You might also want to check the roads before going skiing. The Michigan Department of Transportation website gives trouble spots, weather alerts, construction delays, and a lot of travel and recreation information -- Michigan Department of Transportation website.